The compact Bosch Rotak 34R rotary lawn mower makes easy work of giving small to medium garden a beautifully tidy finish. 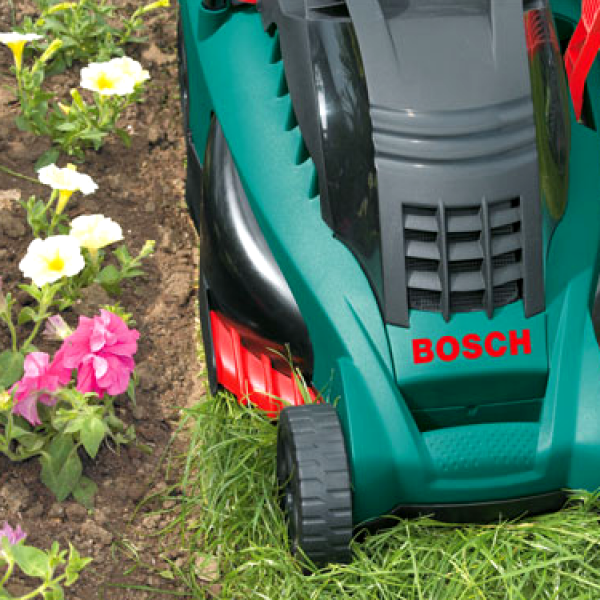 The high torque 1300-watt Powerdrive motor allows you to tackle long grass with ease. When the going gets tough, the innovative gear set automatically increases the torque to work more powerfully. 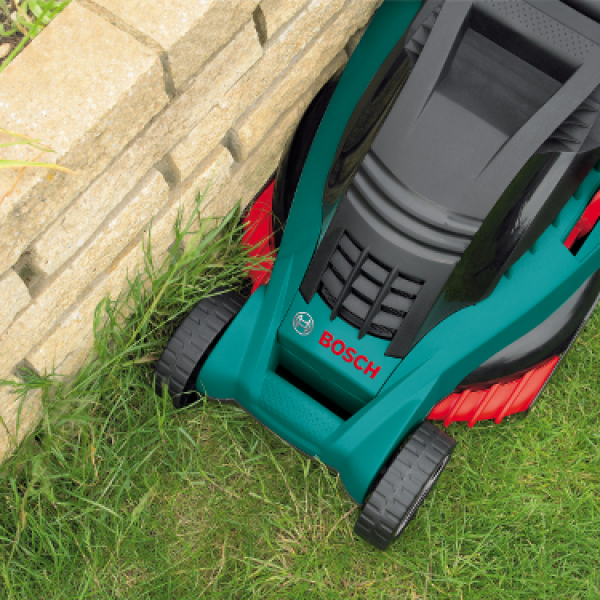 With a 34 cm cutting width you'll soon get the job done and a range of cutting heights from 20 to 70 mm lets you cut your grass exactly how you like it. 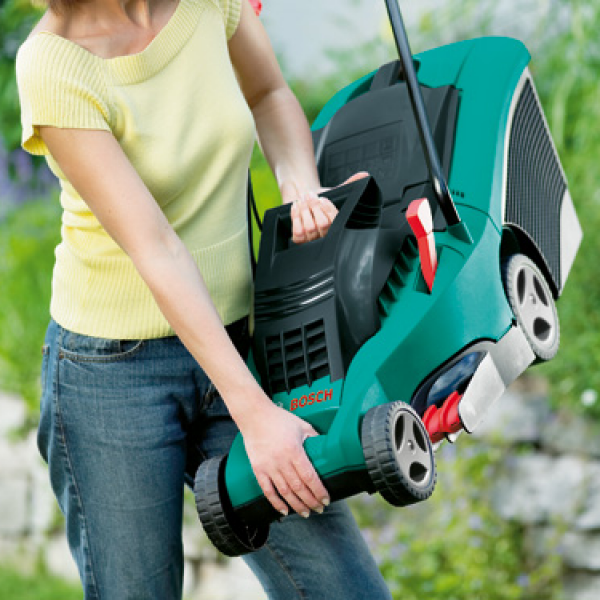 A large 40-litre grassbox lets you go for longer before it needs emptying and folding handles ensure easy storage when the job is done. 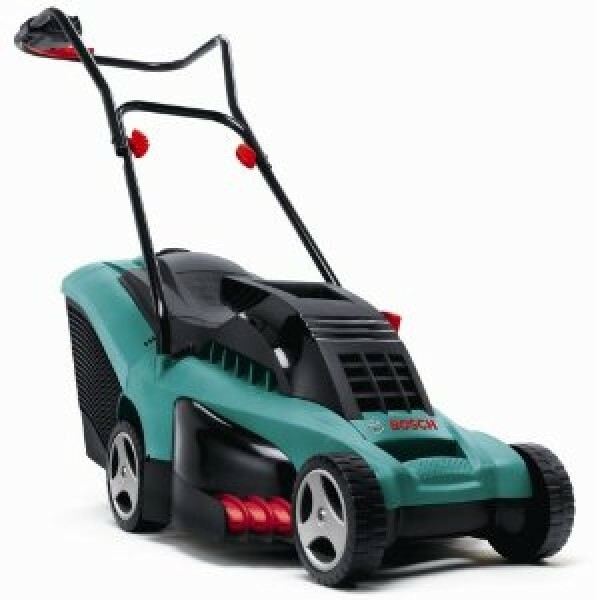 Precision sharpened blades and grass combs combine to deliver clean, close up cutting, letting you cut your lawn perfectly right to the edge. An integrated rear roller provides stripes and stability, as well as preventing scalping.